THE LANDSCAPE KNOWS TIME QUITE DIFFERENTLY THAN DO HUMAN BEINGS. A hillside might turn green in a few days, while a sky can change in minutes. A coastline takes a few eons to sculpt even as the creeks that flow into it reform each year. The California Oak measures its life in centuries, whereas the shallow pools that criss cross our beaches often change in seconds. Human beings measure their lives in decades. Consequently, those birthdays which mark the passage of ten years are a bit more special. Those birthdays demand introspection. What has been accomplished? What will come next? 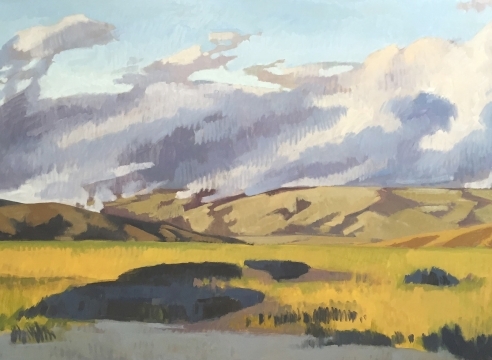 A lot is to be expected of an artist who has used the last ten years to create work for over a dozen solo exhibitions and over thirty group exhibitions. Nicole garnered two magazine covers in the past two years, built a new studio and buckled down to create eighty works for this exhibit. 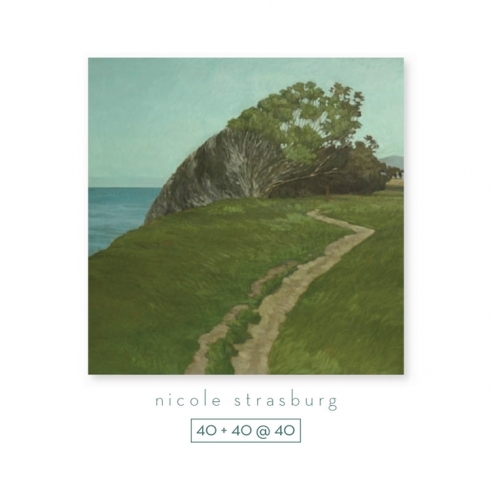 In celebration of her many accomplishments and of the artist’s first fortieth birthday of many, Sullivan Goss is proud to present 40 + 40 @ 40 - an exhibition of 40 oils on birch and 40 oils on paper.